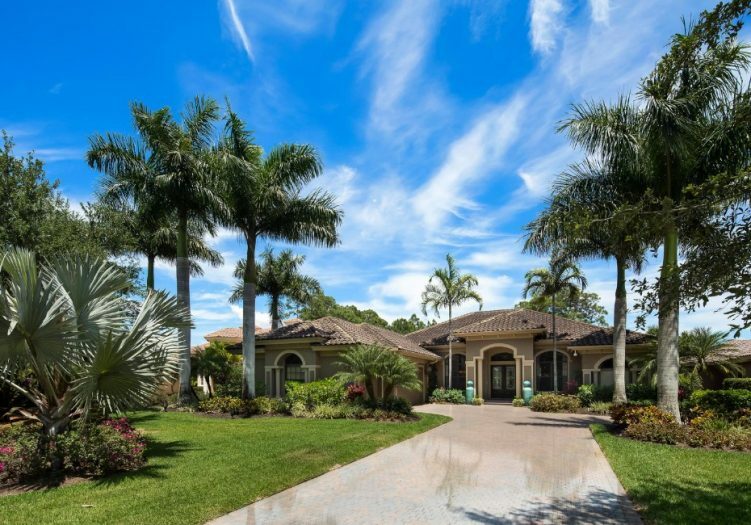 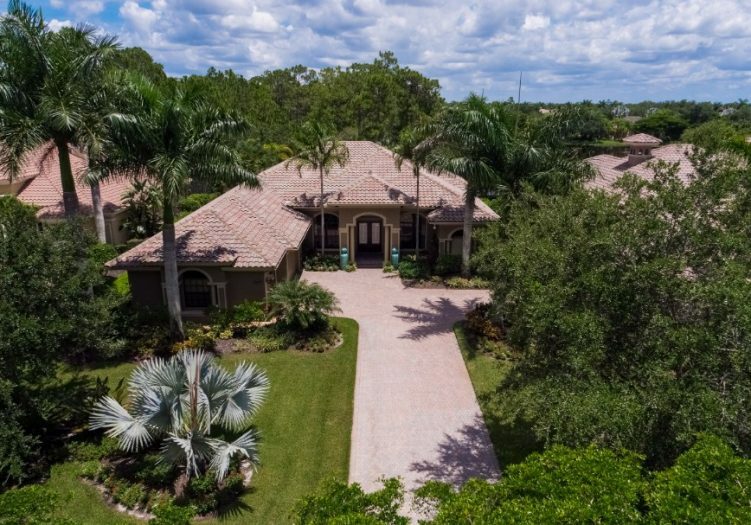 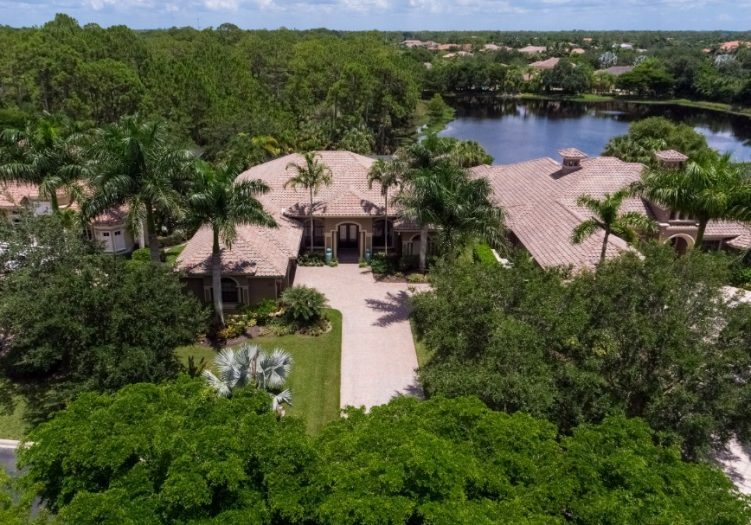 This spectacular 4 bedroom plus den, 3 full and 1 half bath estate with lake views is located in the private twelve home community of Amarone. 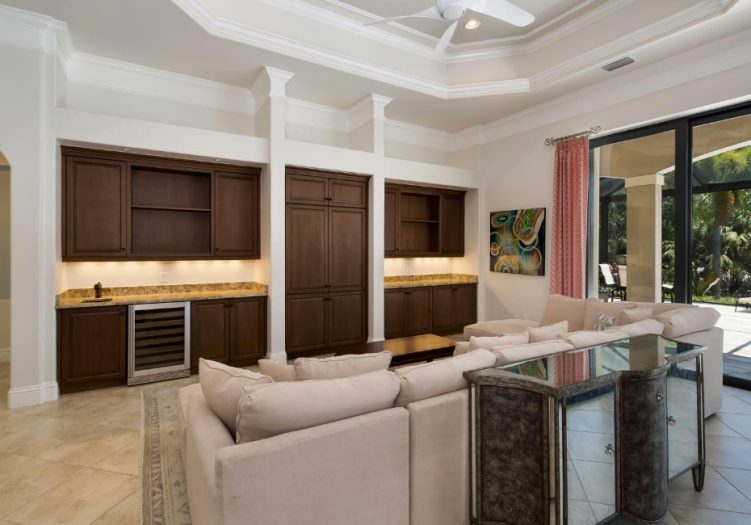 Volume ceilings with wide crown moldings, arched passageways, integrated indoor/outdoor sound system, remotely accessed home security and Lutron lighting system, French doors and exquisite tile flooring detail are only a few of the many discriminating elements found throughout this home. 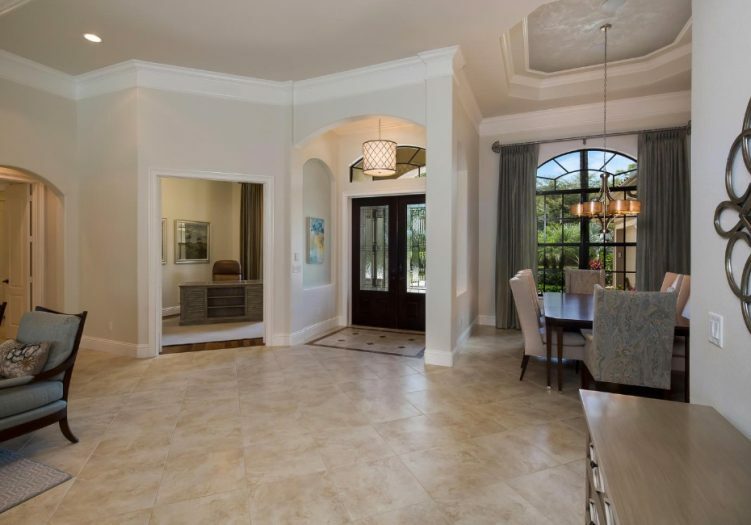 As you arrive by a long paver driveway, you are instantly captivated by elegant column flanked archways and double wood entry doors with remarkable glass accents. 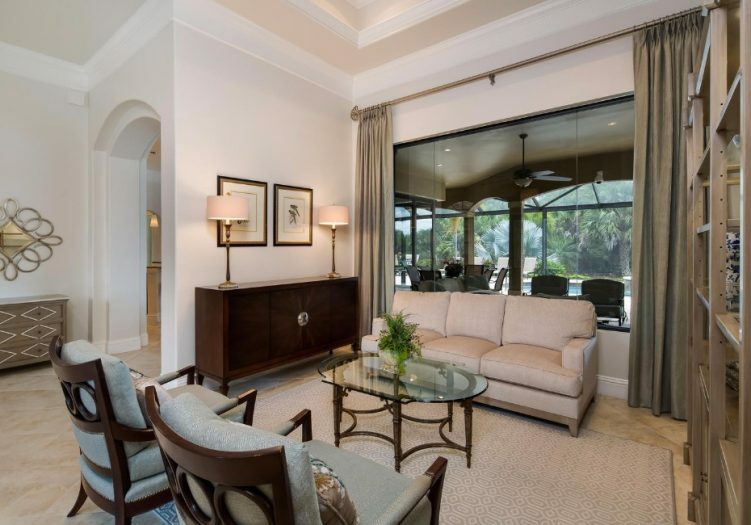 The foyer opens into a comfortable formal living room highlighted by seamless glass windows overlooking the tropical pool and spa. 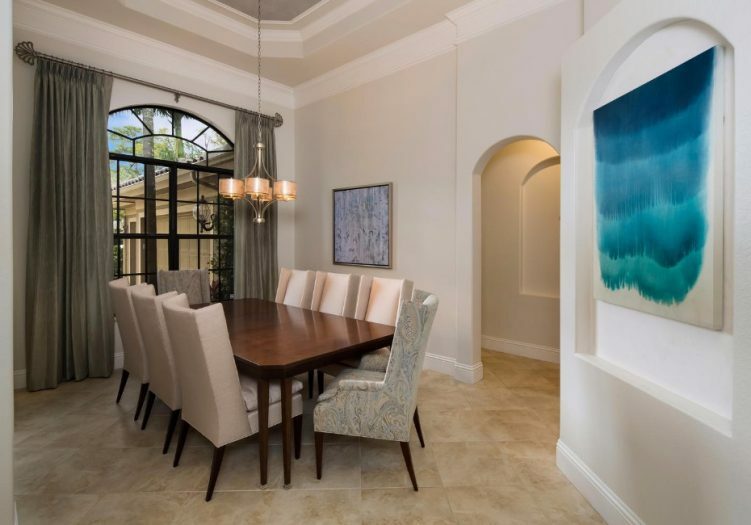 Serve special occasion meals in the tasteful formal dining room featuring expansive arched windows along with tray ceilings and wide crown molding. 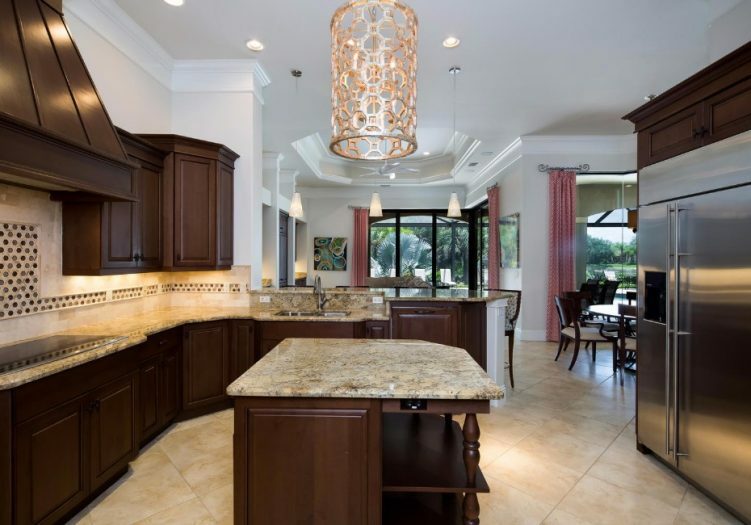 The open gourmet kitchen has upgraded built in stainless steel appliances, a custom stone and glass back splash, pendant lighting, rich dark wood cabinetry, and stunning granite topping the work surfaces, breakfast bar, and the large center island that features lower cabinetry and display shelving. 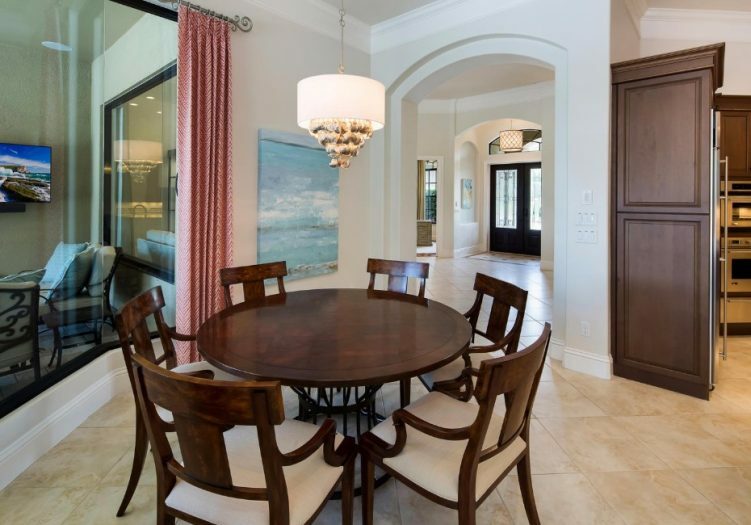 The kitchen opens to the delightful breakfast nook featuring seamless bay windows overlooking the covered loggia. 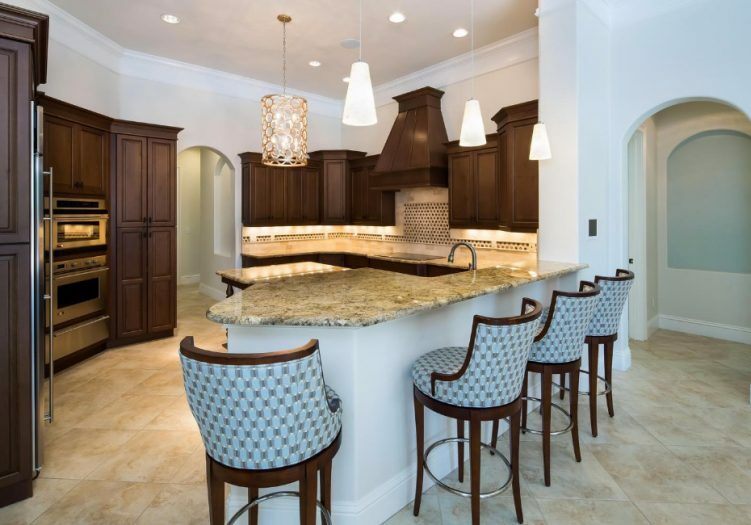 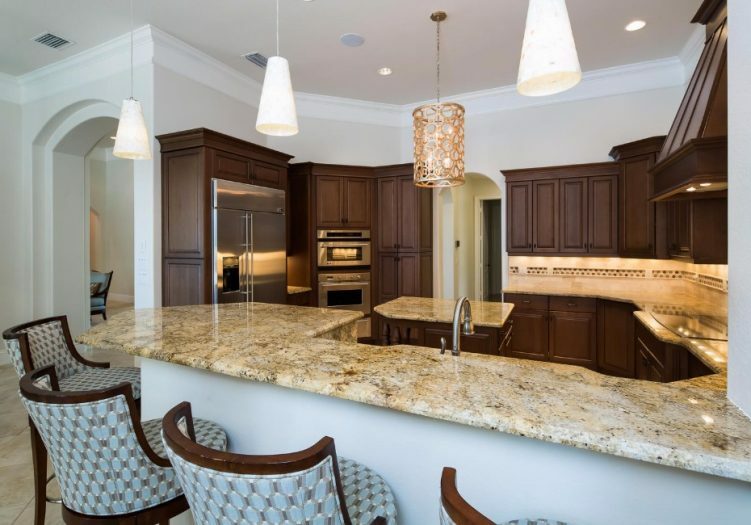 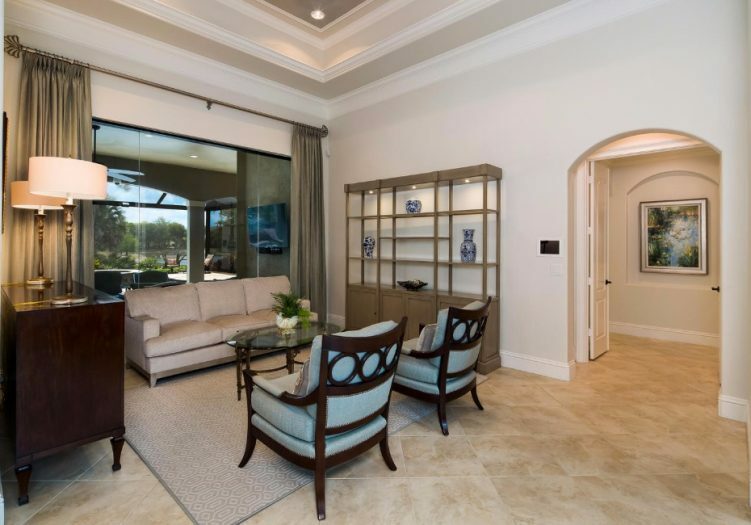 The spacious great room flows seamlessly from the open kitchen and features expansive pocket sliders leading out to the covered loggia and rich wood built ins with granite counters topping the wet bar and under-counter wine cooler creating a relaxing environment for entertaining. 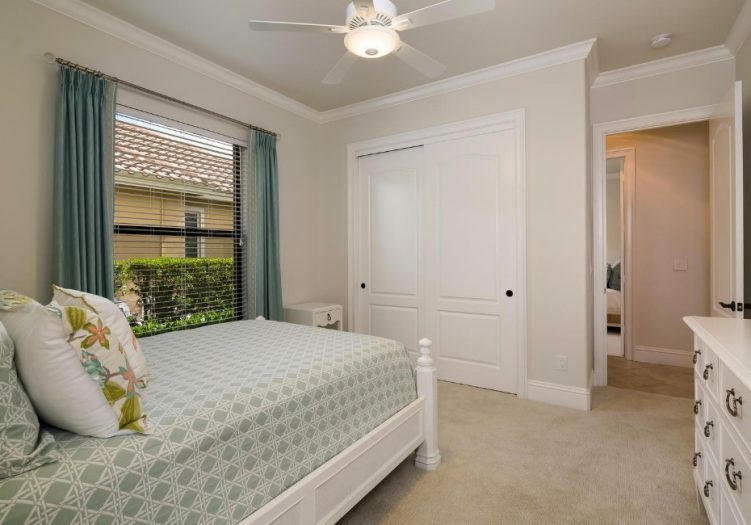 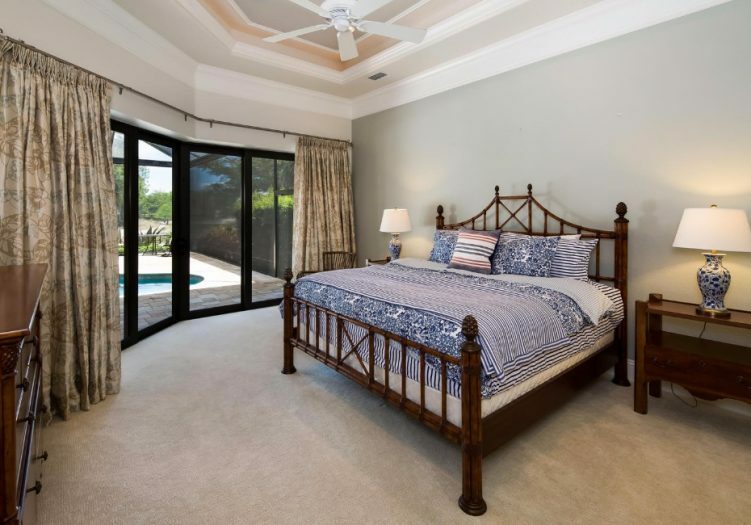 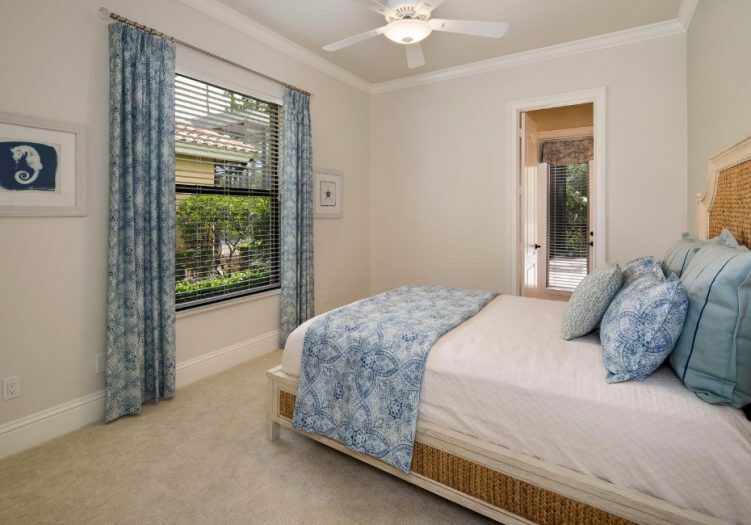 Retreat into the relaxing master suite featuring his & hers closets, decorative ceiling molding, lush carpeting and disappearing sliders leading directly to the screened lanai. 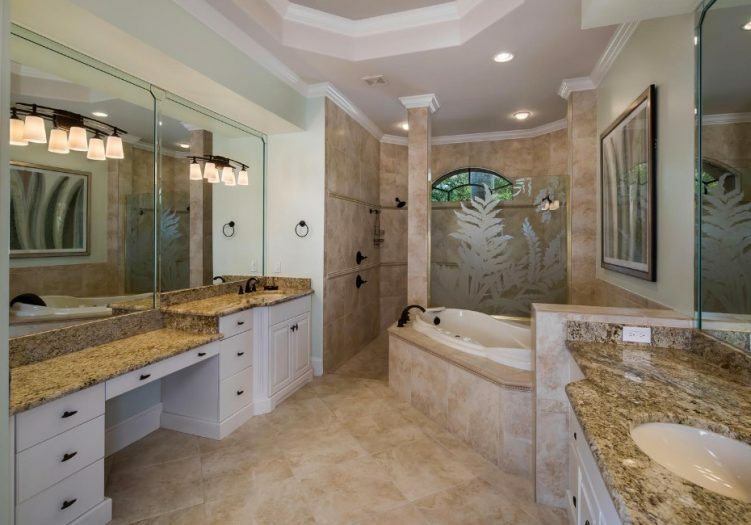 Enter the master bathroom through discrete pocket doors to find dual vanities with custom mirrors, a large walk in shower with dual shower heads and stunning tile accents, and a luxurious jetted soaking tub. 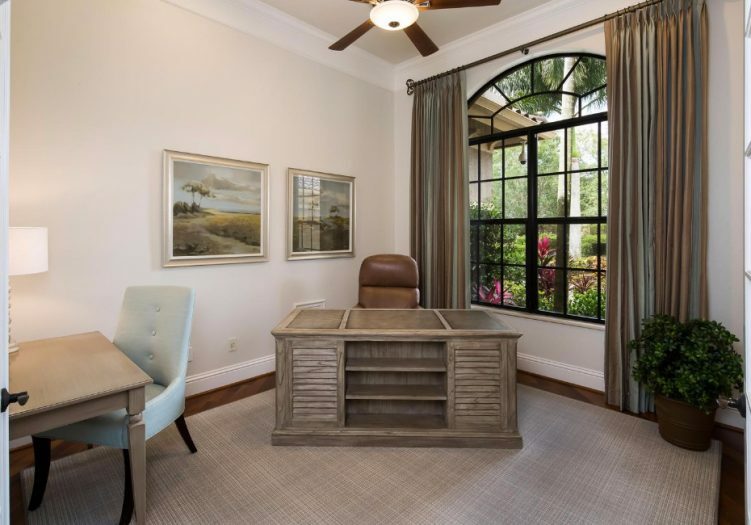 The sunlit den features rich wood floors, French doors and expansive arched windows, serving as an intimate office or private entertaining space. 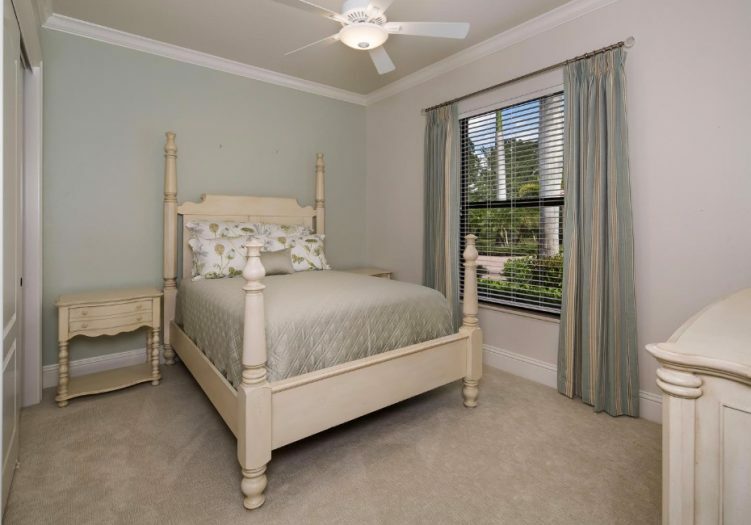 Guests will feel right at home in the comfortable guest suites and private bathrooms. 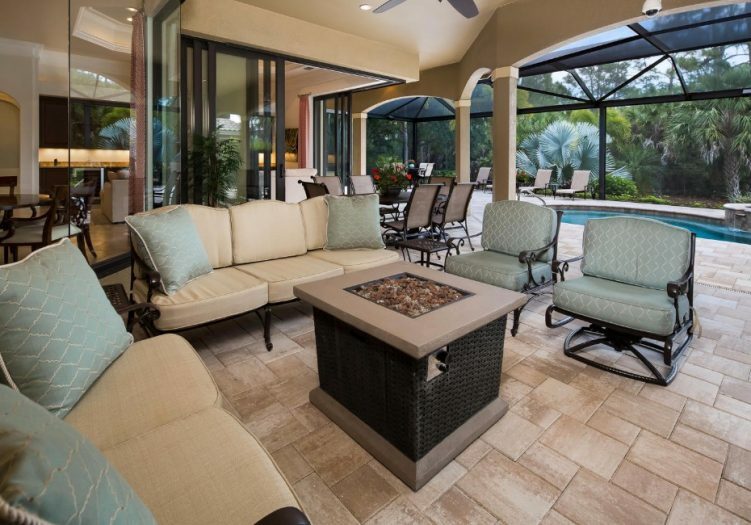 Enjoy paradise in the covered loggia with multiple covered seating areas and a delightful summer kitchen. 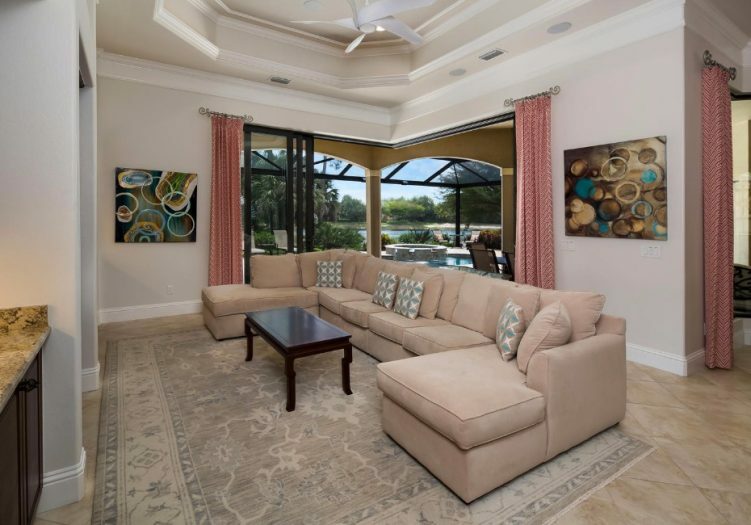 Dive into the sparkling tropical pool or relax in the spill over spa overlooking the lake!